NEW!!!! 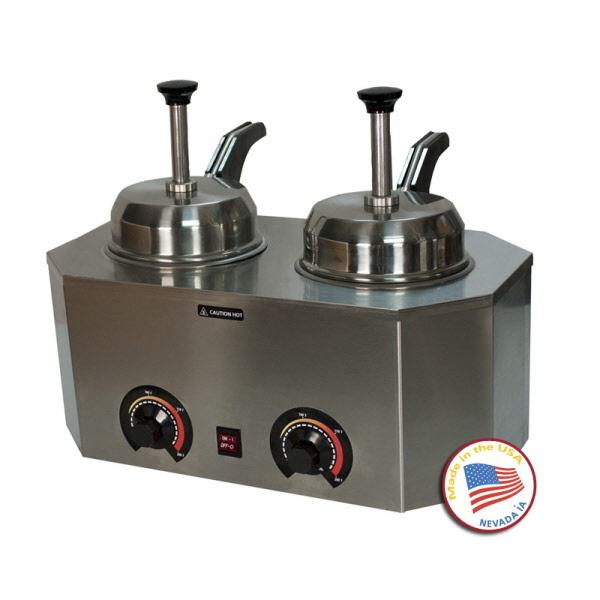 The Dual Pro-Deluxe warmer dispenses directly from two #10 cans or the optional stainless steel insert jars. 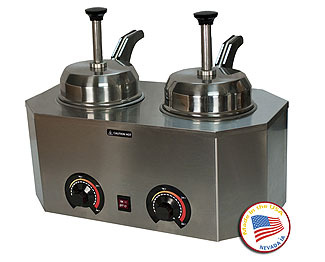 Features a stainless steel body, lighted master ON/OFF toggle switch and it uses a dual 500 watt band element with an adjustable thermostat to keep your toppings at perfect temperature all day long.